Kanye… What’s Going on Buddy? Kanye West has had quite the week. Fans in attendance at his two most recent concerts in California, were left confused and frustrated. 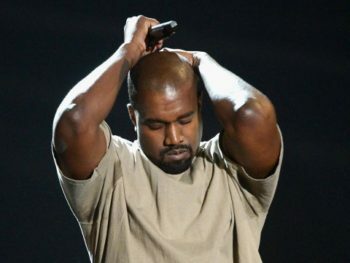 After only performing a couple songs, Kanye began ranting at length over his support for; Donald Trump, frustration with Jay Z and Beyonce, distain for Drake and DJ Khaled unfairly promoting their hit “For Free” on the radio, and his opinion that African-American individuals should stop talking about racism. It didn’t get better from there either. The next day Kanye cancelled the remaining three stops in his St. Pablo Tour for exhaustion. Last night, it was reported by CNN that Kanye had in fact been admitted at a Los Angeles medical center where he was kept under observation regarding his health and safety. CNN reports this decision was influenced by his personal doctor after evaluating West for extreme sleep deprivation. Recently Lil Wayne performed at a concert that Tyler the Creator puts on and he denounced Cash Money and shouted out Roc-a-fella. Of course Birdman had a little hissy fit about it and squashed all negotiations that were in placed for Lil Wayne to leave Cash Money. Birdman and Lil Wayne are basically like father and son, or they once were. Coming up in the rap game as a young artist there’s no denying that Birdman helped with the success of Lil Wayne. Break ups happen, we all go through it, have seen people go through it, it’s a natural part of life. In this situation Birdman is appearing to be that crazy ex wife that does not want to let go of a love and relationship that’s no longer there by being petty and dragging the divorce settlement. In this situation Birdman, who’s the CEO of Cash Money Records is holding on to The Carter 5, and wants Lil Wayne to release it under Cash Money so he can profit from it as well. Birdman is known in the industry for not paying artists and taking advantage of them. He’s even been compared to the notorious Suge Knight, except Suge would actually put Birdman to shame. For someone who he’s referred to as his son in interviews, Birdman sure do have a way of showing us how to treat your children. Over this past weekend Drake has received 4 AMA awards for his hard work on the album Views. He received the awards for Favourite Rap Hip Hop album, favourite artist, and 2 for favourite songs Hip Hop and R&B for “Work” and “Hotline Bling”. While on stage accepting his award Drake throws some shade on who we believed to be is Kanye West. Due to the inappropriate 16 minute rant Kanye went on this past weekend in Sacramento. Kanye called out Drake saying him and DJ Khaled had some type of agreement with the radio to always be playing the song “For Free”. Drake while accepting his speech says “Careful how you speak my name” then later on in the evening ABC gave a congratulations post on Instagram to Drake on his wins for the night and Khaled comments ” congratulations”. Then Drake replied by saying ” stop running your mouth and make a hit”. We all assume Kanye was the guy he was talking about because it was the most recent event but it could also any other rapper Drake is beefing with. Who do you guys think he was talking about?